This agreement comes handy when you or your organisation is planning to appoint an external consultant to work on a specific task or assignment for your company. A consultant is generally an expert in his own field who will assist in providing specialized solutions for a temporary period. In the best interest of both of the company and the consultant, the agreement need to be secured by a written contract laying out basic and specific groundwork for future collaboration. The consultancy agreement will not only safeguard your interests in data protection and intellectual property matters but also serve as a proof if there is a dispute or litigation. When your company is engaging the services of a specialist for a specific project or task. When you want to appoint a person as a consultant on a self employed basis but do not want to consider him on the company payroll (employee). If you’re an individual and are taking up a temporary assignment with a company/firm. When you want to draft an elaborate yet simplified agreement for appointing a consultant. What Has To Be Covered In A Consultancy Agreement? 1. Is consultant an employee of the company? 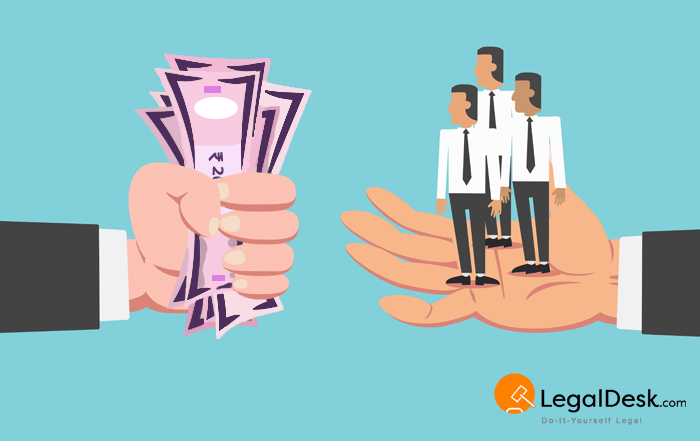 The consultant is an independent contractor and cannot be considered as an employee of the company thus making him ineligible to receive the same benefits as an employee on the rolls. A consultant is hired on a set of exclusive terms and conditions. 2. I was just offered the role of a consultant on a contract basis. Does it mean that I am on permanent rolls of the company? You are hired to fulfill a specific long/short term task for the company. They may decide to let you go after the contract term is over or even extend it if the project demands. You can always negotiate to check if there can be an opportunity to convert the contractor relationship to that of a permanent employee. 3. We are a company looking at hiring a consultant for the H.R department on a part time basis. Can we restrict the consultant from taking up similar jobs with competitors during this assignment? You can always include a clause that restricts the consultant from working with a competitor in the contract. Ensure, you discuss and stress on “why” this clause was included. It is very important you educate the consultant before bringing him on board. 4. Are consultants on contract basis eligible for H.R benefits offered by the company to its employees? In most cases you’ll not qualify as you’re not an employee of the company.This will be detailed in the agreement made by you with the employer. Even benefits like provident fund and E.S.I may not be in your reach. 5. What is non-disclosure clause in the agreement? I do not understand. During your stint at the company, you may have access to confidential information that includes access to patented information, sensitive data, trade secrets etc. They expect you to safeguard this information by not disclosing it to the outside world. This clause bars you from letting out any proprietary information.